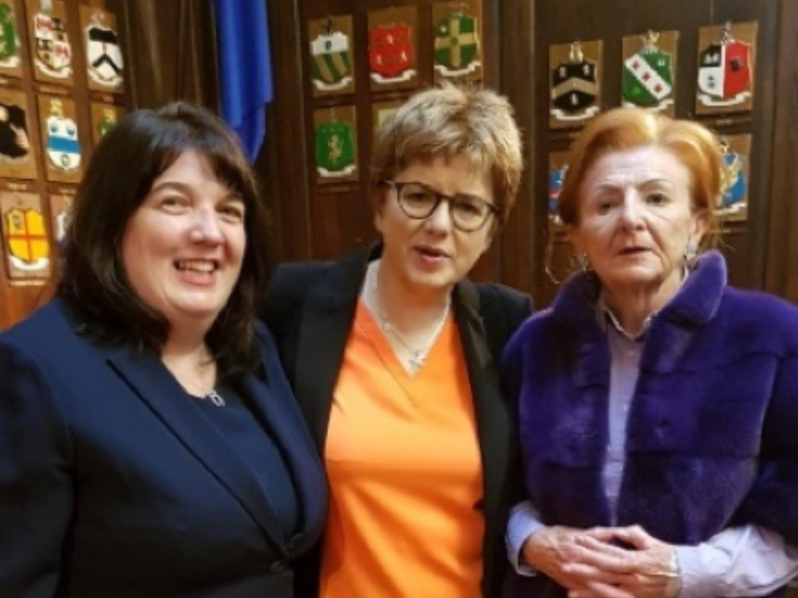 Verona Pentony with fellow Founding member of the Open Doors Initiative Margot Slattery, CEO Sodexo & Breege O’Donoghue, an inspirational speaker after 37 years with Penneys/Primark, now she holds an Ambassadorial role for the brand. 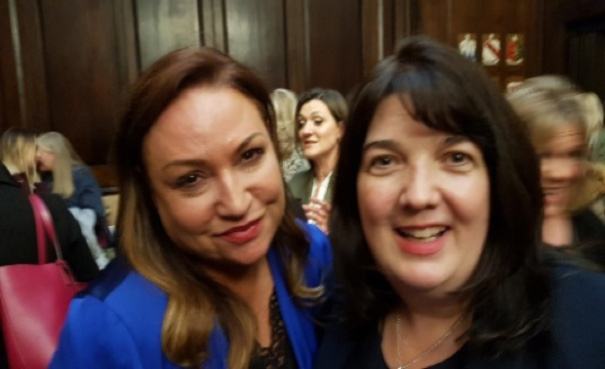 The Lord Mayor of Dublin, Nial Ring, together with Norah Casey and Focus Ireland hosted an event in the Mansion House, Dublin. The Theme was Women in the Community overcoming adversity and realising full potential. 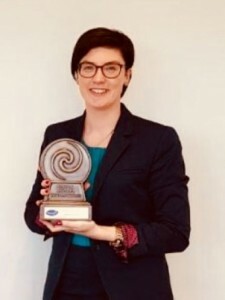 Most appropriately held on International Women’s Day, March 8th 2019. Verona Pentony of Momentum Support was delighted to have received an invitation to the event and is pictured in attendance with other guests. Verona Pentony from Momentum Supports launching Connect – working better together publication. 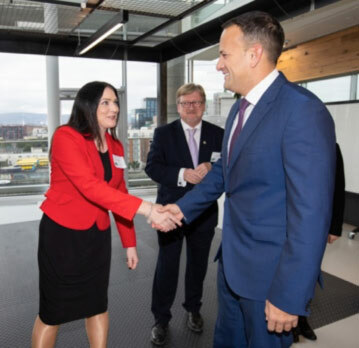 Matthew Houlihan – Momentum Support – meets Taoiseach Leo Varadkar. In 2016 Momentum Support were awarded a new start up building project. Located at the St. James’s Hospital site, the MISA building was considered to be leading edge & one of the first of its kind in Europe. There was a commitment to recruit the team from within the local community. Momentum Support worked with the Local Employment Services and recruited 30 candidates through the Job Plus Scheme. Some of the candidates were out of work for up to two years and were reliant on one skillset. Initially they worked alongside the team responsible for the initial builders clean. Matthew Houlihan joined as part of this team on the 11th May 2016. 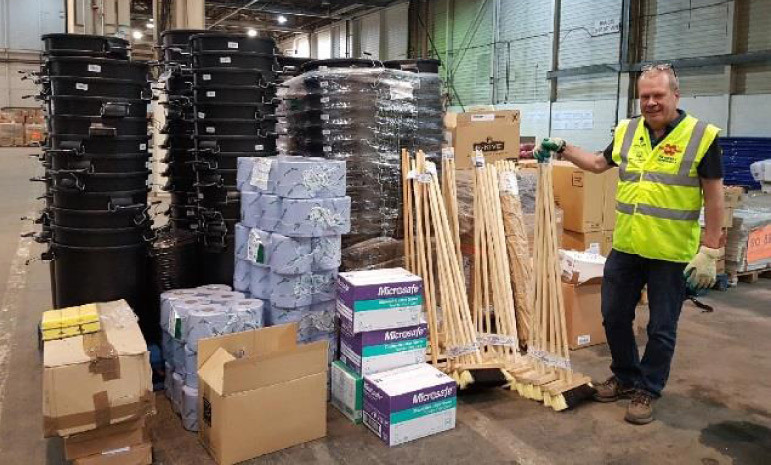 Through Induction & skills training and with Sinead Grogan (Healthcare Operations Manager) as his mentor, Matthew became Main Janitor in the MISA Building. Matthew Houlihan, is an exceptional person. He is committed in his role as Main Janitor, MISA Building. He works earnestly to deliver the BIC Sc cleaning standards expected in the MISA Building. He is a team player and respected by both peers and management. Matthew takes pride in his Customer Service. He is a people person who enjoys interacting with visitors, hospital staff and his own colleagues. 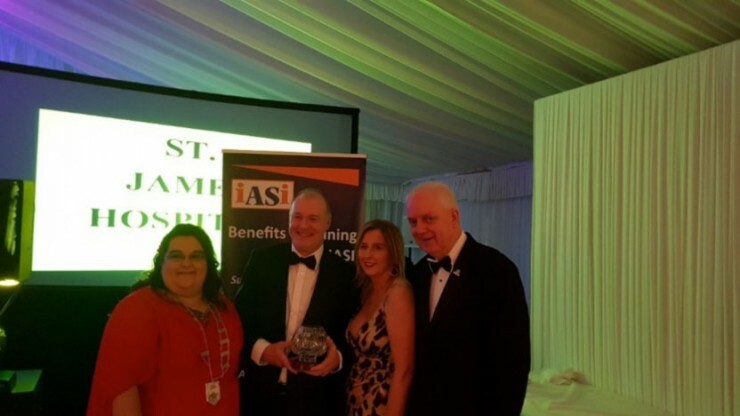 In 2018 he was recognised by Momentum Support though his nomination for the Irish Contract Cleaning Association Awards, having received letters of recommendation from St. James’s Hospital including visitors and Momentum Support Management. It was a great honour when Matthew received acknowledgement for his role as Main Janitor, through receiving the Overall Winner Cleaning Operative in the Acute Healthcare Category at the Irish Contract Cleaning Association Awards in 2018. Matthew Houlihan was chosen to represent Momentum Support at the launch of the Open Doors Initiative. Momentum Support are proud to be one of the 14 founding member companies of Open Doors. 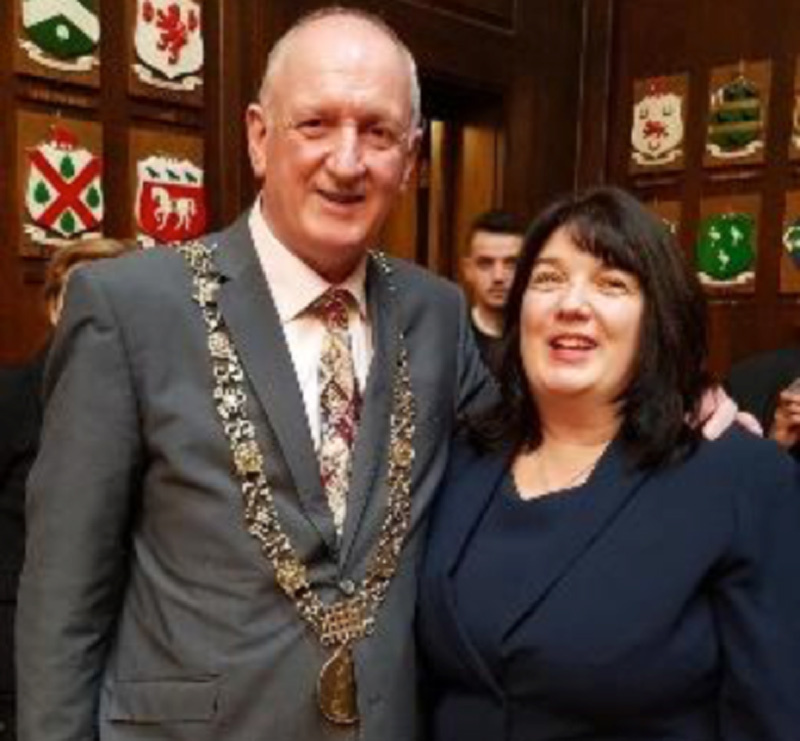 Open Doors is a cross sector initiative to promote greater inclusion, diversity in the workplace, training and employment opportunities for marginalised groups in Irish Society. The Open Doors Initiative aims to provide opportunities to some of the marginalised members of our society that face higher barriers to employment than most do. Today, people with disabilities are only half as likely to be in employment as others of working age. The youth unemployment rate tends to be double the general unemployment rate. And until recently, most refugees and asylum seekers were unable to access the labour market. 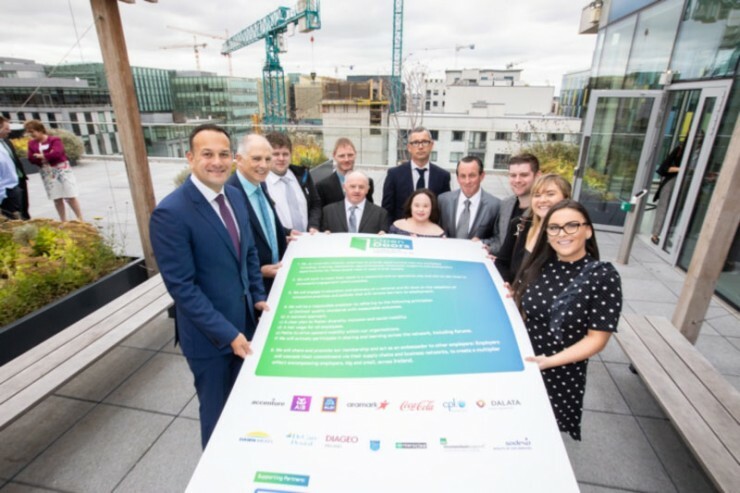 Together, as 14 Irish Employers, we want to address this and support people who face barriers into employment. The benefits will be two-fold – open up the labour market to some of those who have been unable to access it; and attract and retain our future workforces. 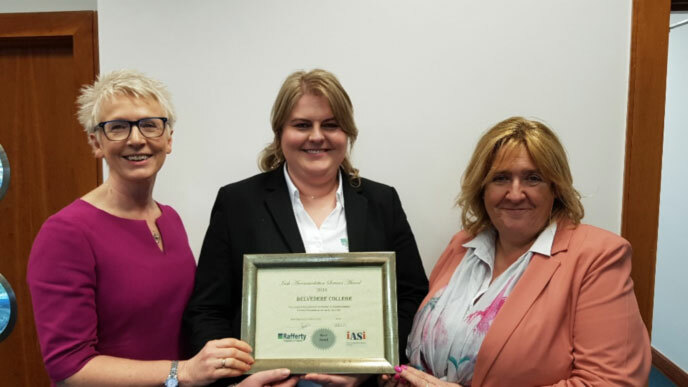 At the event were Momentum Support’s Trevor Carney, BITCI Ready for work, Alana Dunican (HR Director), Sinead Grogan (Healthcare Manager) and Matthew Houlihan (Jobplus). 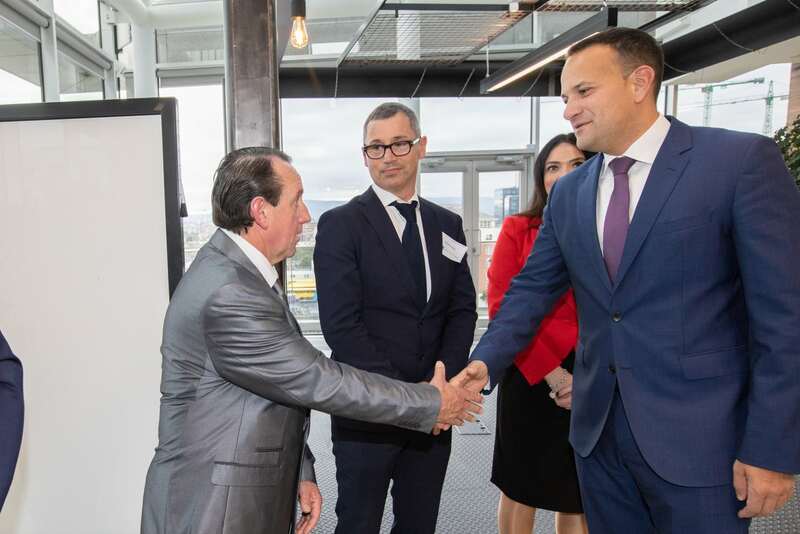 Pictured here is Leo Varadkar in attendance for the Open Doors official launch, alongside representatives from the 14 participating companies. 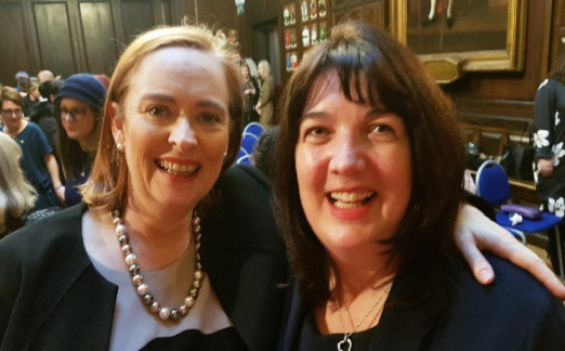 Dr Noreen Gleeson receiving the proceeds with Momentum Support’s Sinead Grogan. More photos of the event can be found on the ‘Run the Liberties’ Facebook page. Momentum Support is proud to report that €43,955 was raised for GynaeCancerCare at St James’s Hospital for the 10th Anniversary of the Liberties Fun Run. The proceeds were presented to Dr Noreen Gleeson, and all of the proceeds from the this year’s fun run will go towards an Ambulatory Care Unit at St James’s Hospital. This is the first year that the event completely sold out, with 1,500 people participating in the run. 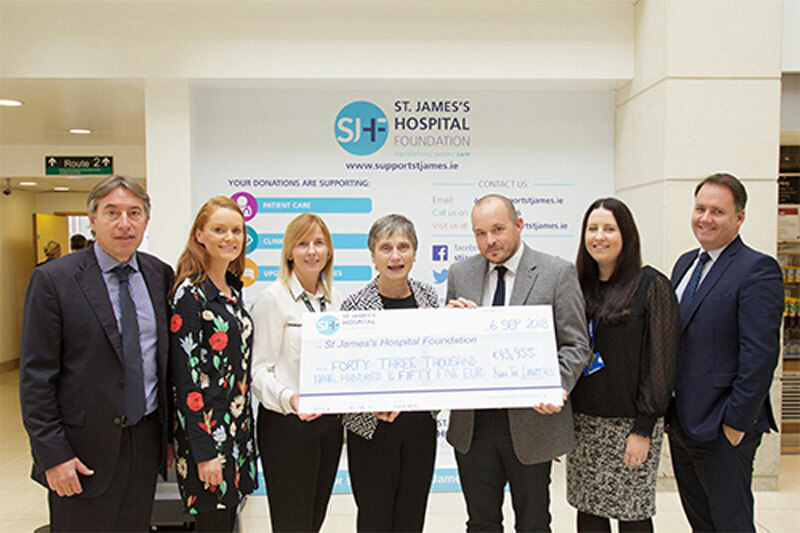 St. James’s Hospital Gynaecological Cancer Care Centre is the largest provider in the Republic of Ireland of treatment for malignancy of the reproductive organs, with over 300 women being referred to the centre annually. Momentum Support were proud to sponsor the work of the clinic and were delighted at the response to the event. Momentum Support has been a consistent support of the Liberty Fun Run and would like to congratulate all of the participants and organisers of the 2018 Fun Run for their hard work and dedication. We look forward to seeing you all at the starting line next year! Further donations can be made at the www.supportstjames.ie website. 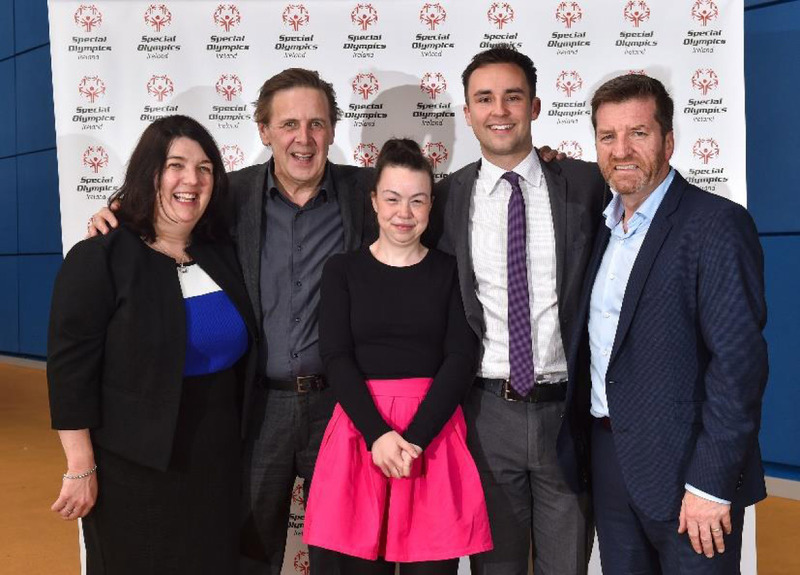 The Special Olympics, CEO Matt English expressed his sincere thanks to Momentum Support for the generous donation of cleaning products and other supports for the 2018 Ireland Games. 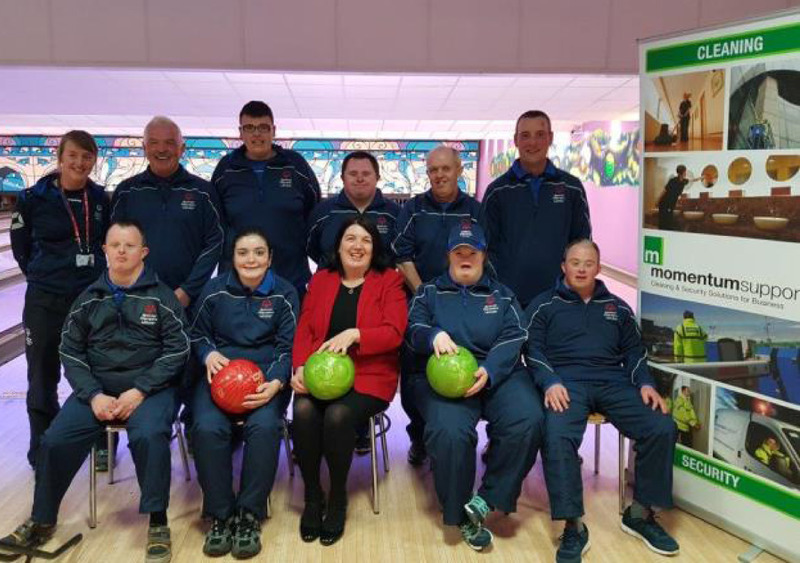 The donation allowed The Special Olympics to significantly reduce the cost of the Summer Ireland Games, in which 1,600 athletes participated in 13 official sports, over three days of competition. The games were the largest sporting event to take place in Ireland this year with 1600 athletes taking part. 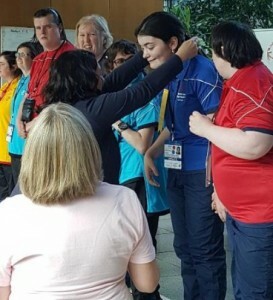 The Ireland Games took place in Dublin, June 14th – 17th, primarily in the National Sports Campus in Abbotstown, as well as various venues throughout the greater Dublin area. Four days of sports took take place across 13 disciplines, with over 2,500 volunteers helping to make the event happen. Momentum Support also sponsored the South Offaly Bowling Team. Team Member, Nikita Dunican, received a Bronze Medal which was presented by Momentum representative Verona Pentony at the Special Olympics Medal ceremony. The idea for Momentum Support sponsoring the Special Olympics came from Momentum’s Willie Dunne who highlighted the Special Olympics as a worthwhile cause and Momentum’s Patricia Seery organised the support of Nikita Dunican via sponsorship card. Momentum Support is delighted to have been a part of this high-profile, emotional and worthwhile event and is proud to have been able to support the athletes and organisers in all their hard work in preparing for and taking part in the Games. 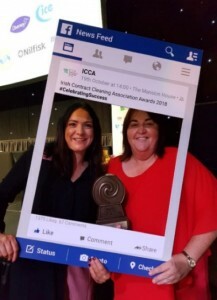 Momentum Support are pleased to announce success at the Irish Hospitality Awards 2018. 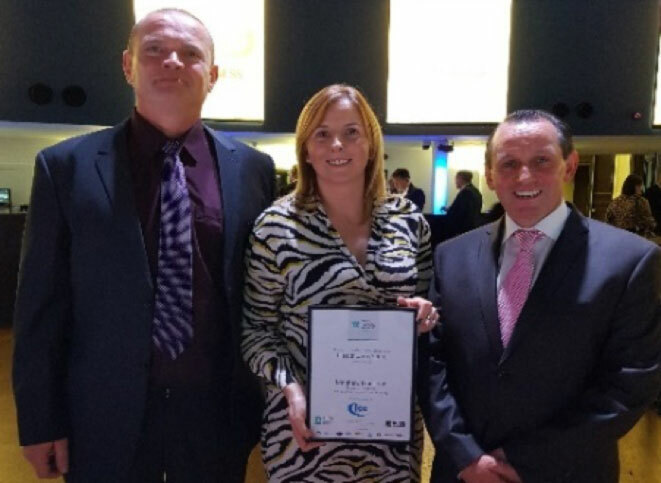 The second annual Irish Hospitality Awards took place at Crowne Plaza in the Dublin Airport on May 1st. The awards celebrate everything in the Irish hospitality industry by recognising and rewarding the best in the business. This year’s black-tie event hosted 200 guests. 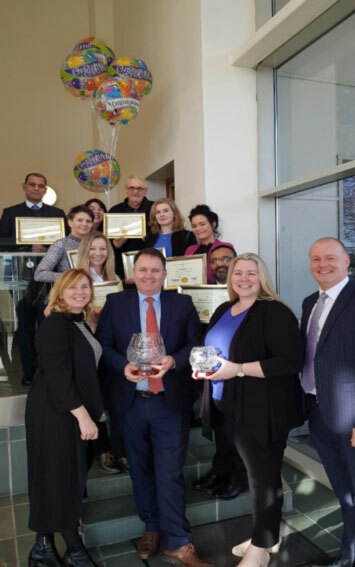 The nominees and winners, who are chosen by members of the general public, are a true reflection of high standards and customer service. 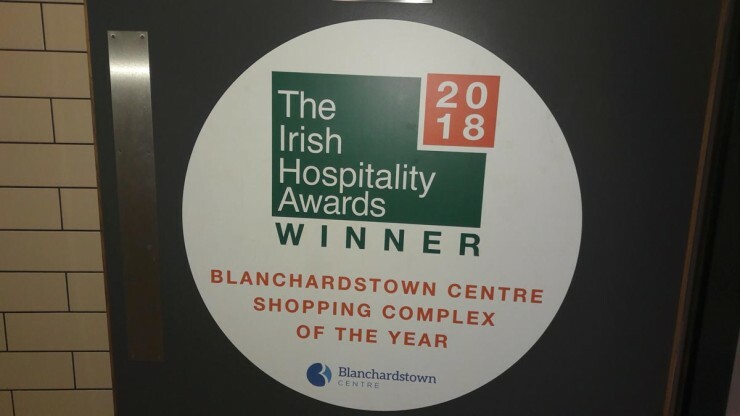 Momentum is excited to announce that the Blanchardstown Centre won Shopping Complex of the Year at the 2018 awards. 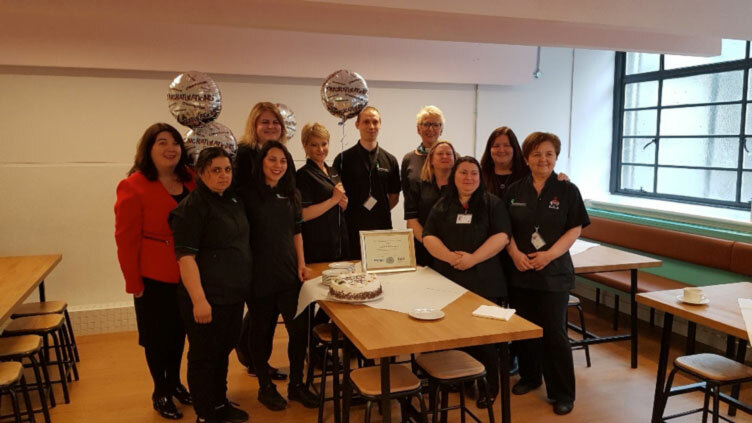 This is a great achievement for Paula Gaspari (Housekeeping Manager) and her team. Momentum Support congratulates all nominees and winners for delivering service excellence. Members of the Security Team at the Farnborough Airshow. 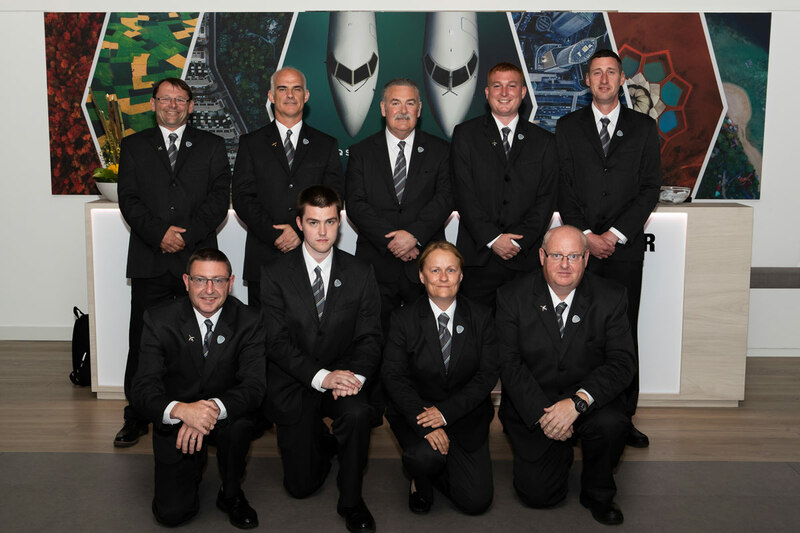 From left to right, starting with the back row — Gary Hodgson, David Bruce, Peter Fleming (Bombardier Manager), Gerald Crumley, Neil Stanfield, Frank Moorcroft, Gareth Edwards, Heather Floyd (Senior Guard), Paul Bright. Daniel Hill is not pictured as he was on duty when the photo was taken. Momentum Security Staff proudly supported the Farnborough Airshow, which took place from July 16 to July 22, 2018. The public side of the event included static and flying displays, featuring 150 aircraft and 5 hours of flying. Everything from vintage and fast jets to commercial airliners were on display for 80,000 visitors. The trade side included 1,500 exhibitors from 52 countries, spread across 70,000 square meters of exhibition space. The event showcased new technology and facilitated major trade deals within the industry. The Momentum Security Team supported the event and provided a safe and secure working environment. They prepared areas throughout the venue beforehand and controlled access points, maintaining a 24-hour presence throughout the duration of the Airshow. They also helped intake guests and directed visitors with questions to Media reception, helping the event flow smoothly. The Farnborough Airshow was a great event and a success overall and Momentum Support is proud to have been involved.